Easy, Plug-and-Play use for Windows 7, Windows 8 and Window 10. 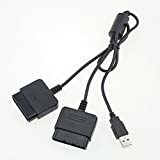 This is a dual PS2 to PS3 USB controller adapter that allows you to connect two PS2 controllers to a PS3 or PC using only 1 USB port. 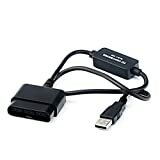 It’s great for game companions and saves space for more connections. Don’t let those old PS2 controllers go to waste! Length: 18″ / 45.72cm; Does not provide the motion sensing capability featured on PS3’s SIXAXIS wireless controller. Missing the Good Old Days? 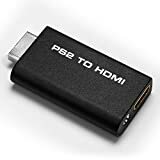 The Etekcity PS2 to HDMI converter helps connect the classic PS2 console to a modern HDMI TV or other HDMI Displays. Every PS2 could use this update; the combination of classic and modern make playing PS2 games fun again. Easily operate the Etekcity PS2 to HDMI converter. Simply plug it in and start playing PS2 on an HDTV like it was designed to be. Supported HDMI output Mode: Outputs pure digital HDMI video/audio signals. 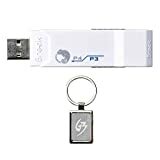 Enjoy a fast, reliable internet connection for internet movies, online gaming, Wii shopping and more! It recognizes wireless PS3 controllers and PS3 steering wheels and automatically configures all buttons as shown in the map to the right. No switching is required. Offer your controller a simulated touchpad button of PS4 controller. IMPORTANT: PS4 firmware update to 3.11 disables the Brook Super Converter after 8 minutes. Brook has developed a firmware update to address this. Please make certain to update your device firmware before using. NOTE: Each Brook Controller Adapter can only handle one wireless PS3 controller at a time. Video and audio in full digital HDMI format, no transmission loss! Works with DVI monitor. Hassle Free! Plug and play. The extra 3.5mm audio socket brings your convenience to connect headphone or speaker. 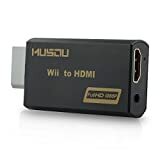 Musou H01 Wii to HDMI converter for the Wii console, outputs video and audio in full digital HDMI format and supports all Wii display modes (NTSC 480i 480p, PAL 576i). With just one HDMI cable, plug and play for true-to-life video/audio effects on your TV/monitor. 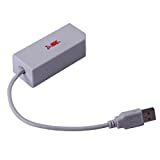 Wii-LINK, a converter for the Wii console, outputs video and audio in full digital HDMI format and supports all Wii-display modes(NTSC 480I, 480P,PAL 576I). With just one HDMI cable, plug and play for true-to-life video/audio effects on your TV/monitor. 1.Video and audio in full digital HDMI format, no transmission loss. 3.Hassle free, plug and play as you go. 4.Supports all Wii display modes (NTSC 480i 480p, PAL 576i). 5.Provides advanced signal processing with great precision, colors and resolutions. 6.No power adaptor, no messy cords-just one HDMI cable. GENUINE LIMTECH PRODUCTS ,Don’t buy fakes from unauthorized sellers. 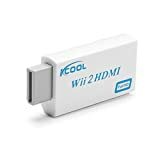 The Wii to HDMI converts your Wii video and audio output to full digital HDMI format. The extra3.5mm audio socket brings your convenience to connect headphone or speaker. So you can enjoy games in night without worrying to disturb others. 6. No power adaptor, no messy cords? ?just one HDMI cable.